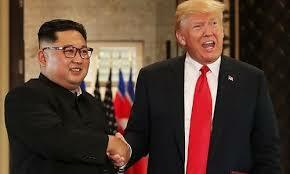 US envoy: Hard work needed before Kim-Trump summit in Vietnam – Royal Times of Nigeria. 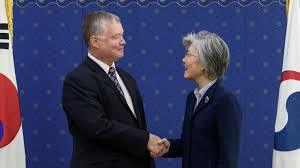 Stephen Biegun held three days of talks in the North Korean capital and agreed to meet his counterpart Kim Hyok Chol again ahead of the summit. Speaking before meeting with the South Korean Foreign Minister Kang Kyung-wha today, Biegun said his talks in Pyongyang had been productive, but more dialogue is needed ahead of the summit. The State Department said during the talks, Biegun and Kim Hyok Chol “discussed advancing President Trump and Chairman Kim’s Singapore summit commitments of complete denuclearization, transforming US-North Korea relations, and building a lasting peace on the Korean Peninsula. US President Donald Trump hailed the preparatory talks as “very productive”.